Over 80 million albums sold worldwide. Surely if a band has that type of street cred, you listen to them on a regular basis. In fact, they’d probably be on the tip of your tongue every time you had a discussion about music. Today’s band might put that idea to the test. While you probably know them (and half their catalog)—they’re not the household name you expect. In 1976, the Leslie West Band collapsed. That left English musician Mick Jones stranded in New York City. Ready to fly back across the pond, manager Bud Prager took him under his wing and encouraged him to not give up on music. Inspired, he met a keyboardist, a drummer, and bassist to begin jamming. Needing only a lead singer, they found Lou Gramm from a band called the Black Sheep. They offered him a plane ticket to NYC, and the rest is history. In November of ’76 they hit the studio looking to get out their debut album. While the recording only took a couple months, the mixing took multiple attempts, as the band was never quite satisfied with the results. They brought in Bud Prager to be their new manager, mixed the album themselves, and they were on their way. Foreigner was released in March of 1977. Initial reaction was limited and average, but suddenly a few weeks in, the album took off. “Feels Like The First Time” would launch as a mega-single, catapulting all the way up to number four on the Billboard Hot 100. Another single “Cold As Ice” would drop in July of ’77 and the album would be reinvigorated on the charts. After that single went up to number six and used for a popular sketch on Saturday Night Live, the band had truly arrived in pop culture. Sales started to boom, with the album certified 5 million copies in the U.S. alone. They began headlining major arenas across the country, a second album was in the works, and they embarked on a worldwide tour of Europe, Japan and Australia. How many albums Foreigner has sold is truly a staggering statistic. They’ve had fourteen singles reach the Top 20 on the charts, including one number one and another that has the record for most weeks at number two without hitting the top spot. In spite of their English roots, the band never caught fire in the UK, with only two singles peaking the top 20. When you look at the acts above them in all-time sales, every single one is an everyday name, and you probably own an album or two of theirs. Foreigner is the first where you think, “really? ?” And I don’t mean that to sound derogatory, when you listen to their hits, some of them are truly outstanding tracks. Not having listened to an album of theirs start to finish before, I wasn’t sure what to expect. This particular one rocks pretty good—it’s a bit of a pop-ish rock from that era, maybe not comparable to a Led Zeppelin. But when the day is said and done, it got my toe tapping, and I enjoyed it. If you’re a big fan of the band, they’re doing a reunion show in a week or so in Mount Pleasant, Michigan. They seem to put on a big show or two every few months, but there are rumors this could be the last. 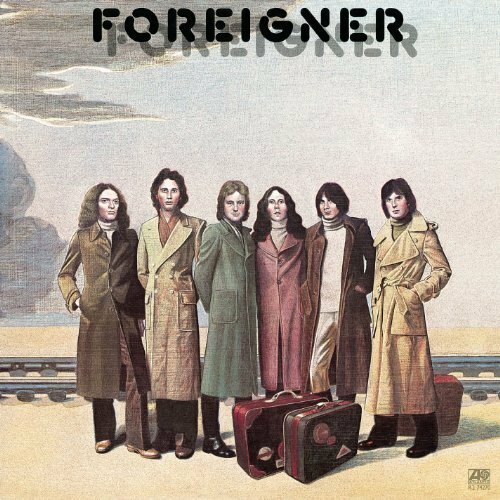 Foreigner is well worth your $5 dollars today, so even if it feels like your first time buying their music, you won’t regret your purchase.